Icy Silver Rose ring FROM PARIS WITH LOVE! « Zurück | TopVintage » Accessoires » Ringe » From Paris with Love! » Icy Silver Rose ring FROM PARIS WITH LOVE! From Paris with Love! 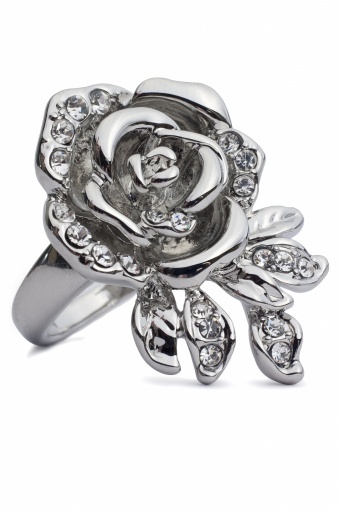 Icy Silver Rose ring FROM PARIS WITH LOVE! Pretty Icy Silver Rose ring by From Paris With Love! This rose is stunning! Very distinctive design and colour, with strass details. A perfect finish to your party outfit!